Olivia Morten is perfect. Maybe she’s constantly hungry, but her body is to die for. Maybe her high-flying publicist job has taken over her life, but her clients are L.A.’s hottest celebrities. Maybe her husband is never around, but he is a drop-dead-gorgeous doctor. And maybe her past harbors an incredibly embarrassing secret, but no one remembers high school…right? When Ben Dunn, Olivia’s high school arch nemesis and onetime crush, suddenly resurfaces, all of her hard-won perfection begins to unravel. As she finds herself dredging up long-suppressed memories, she is forced to confront the most painful truth of all: sometimes who we become isn’t who we really are. A hot-shot L.A. publicist leads a perfect life—her clients are big-time celebs, her husband is a gorgeous doctor, her planner is filled with enviable event invitations. Everything is picture-perfect indeed, until her past and present collide, opening the floodgates to everything she worked so hard to forget. Suddenly, her perfect life begins to unravel at the seams… was it even real to begin with? 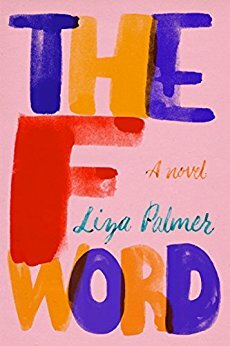 Liza Palmer’s The F Word was a breath of fresh air—honest, humorous and whip smart. Hers is a cautionary tale to all young women who reach for the glamorous life and can sometimes sacrifice authenticity and truth in the process. I couldn’t put it down with all its relatability, heart and addictive wit. We meet Olivia Marten just before her life begins to fall apart. Her enviable life is exposed after running into the adult version of the boy she crushed on her entire school life (despite his cruel words). Seeing him again ushered in all those feelings of inadequacy and insecurity, feelings that defined the girl she no longer was. Olivia had left her behind, recreated herself to be confident, tough, impenetrable. With each passing day, however, she can’t seem to stop the past from disrupting her future, making her see life through a whole new lens. Worse yet, she’s been hiding painful secrets and she’s not the only one. While the drama of her celeb clients hits an all-time high, Olivia is doing everything she can to keep it all together. But try as she may, there’s no going back, no unseeing that her life is far from perfect, no unfeeling the sense of freedom which takes over. The question is, can Olivia salvage her life before it falls apart irreparably? Does she even want to? I promise you won’t be able to put this novel down. Fun, fast-paced and with lots of heart, this is the next book you’ll be recommending to all your friends! I open the door to the coffee place and fall into line right behind a father and his two daughters. The eldest can’t be more than maybe six or seven—I’m not good with kids’ ages, so she could be four for all I know. Maybe she’s in high school. She’s wearing a purple cottony dress and beatup tennis shoes with giant flowers threaded into the laces. Her white-blond hair is messed up, and she’s posing in a weird lunging position and looking at herself in the reflection of the stainless-steel base of the coffee bar. And she is having a very passionate, very detailed conversation with her father about carne asada tacos. He is holding the littler of the girls. She is gnawing on the top of a sippy cup and making an uncomfortably intense level of eye contact with me. I try a smile. Nothing. “You’re Ben Dunn,” I say, before I catch myself. “Do we know each other?” he asks. “We went to high school together,” I say. He looks exactly the same as he did in high school. The reddish-blond hair. The blue eyes. He was always so painfully masculine. I hate how well I know his face. I hate that I only know his face because Ben Dunn is as close as I’ve ever come to having an actual comic-book-level nemesis. How set his jaw was, how furrowed his brow, how that crooked smile told me if I was about to have a very good day or a very bad one. I studied him as if my life depended on it, because in many ways it did. The last time I saw him was the day we graduated. He was surrounded by admirers and didn’t even register me as I dis appeared into the crowd. That was twenty years ago. “Apologize for what?” I ask, purposefully not answering his question. We all shuffle forward in line. “Oh, I … you were always … you don’t need to apologize,” I stutter. “It’s Olivia. Olivia Morten,” I say. Ben’s eyes jolt up to mine as if he’s heard a loud bang. He looks away quickly, his face flushing. “I’m Louisa.” She points at the little girl in Ben’s arms. “That’s Tilly.” Death stare. Louisa points at Ben. He can’t look at me. Won’t look at me. “You know Dad.” She sighs. A glance back over at her own reflection in the stainless steel. A quick lunge. She makes a bored staccato farting sound with her mouth. “I know. I’ve lost about a thousand pounds,” I say, tucking a strand of hair behind my ear, unable to make eye contact. I clear my throat. “Lou? Honey,” Ben says, stopping her with a gentle hand on her shoulder and putting an end to my living nightmare. “It’s fine. It’s actually a pretty spot-on impression,” I say. “What can I get you?” the girl behind the counter asks. Ben and Louisa order as I quietly panic, Tilly’s eyes now boring into the girl taking their order. He pays and Louisa takes the receipt and runs to an empty table. Tilly bullies her way out of Ben’s arms and totters over to the table with Louisa, scrambling up into a chair of her own. “It was nice seeing you again, Olivia,” Ben says, tucking his credit card back into his wallet, one eye on his daughters. “Nice seeing you, too,” I say. He smiles and walks over to his table. “Your usual? Chamomile tea?” the girl behind the counter asks, her pen hovering over the cup. “You know what—” I glance over my shoulder. Ben Dunn is cutting a sugar cookie in half with the precision of a surgeon as Louisa and Tilly eye him skeptically. I scan the food options once more. Louisa’s impression of “a thousand pounds” burns through my brain and lands squarely on my chest. Flaky scones. Melty cookies. Even that wilty egg salad sandwich looks mouthwatering. “Think I’m going to splurge. How about—” Ben walks over and grabs a handful of napkins. “How about a small decaf Americano.” Clearly disappointed, the girl rings me up with a sigh.